Who said cocktails can't be semi-healthy? In this week's episode, we'll let you in on the secret to shaking up a delicious and waist-friendly drink! Instead of adding even more sugar, we added fresh grapefruit juice -- which, according to Dr. Oz, is low in calories, full of Vitamin C, could help lower cholesterol, may reduce stress and is quite hydrating. Of course, it's probably healthiest to drink it sans alcohol -- but we have to treat ourselves every once in a while, right? Sprinkle sugar on a small plate. Cut grapefruit in half. Rub outer edge of cocktail glass on grapefruit to wet. Rub rim of glass in sugar. 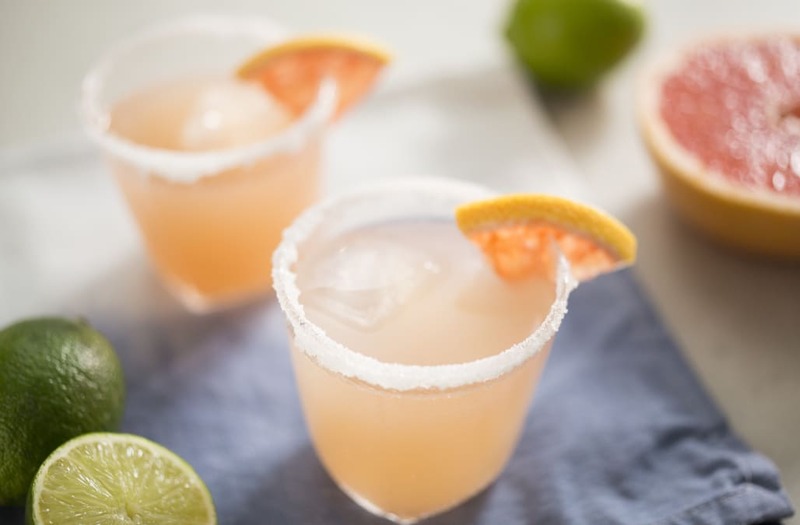 In cocktail glass combine grapefruit juice, lime juice, and sugar, mixing until sugar dissolves. Garnish with a slice of grapefruit. Enjoy!